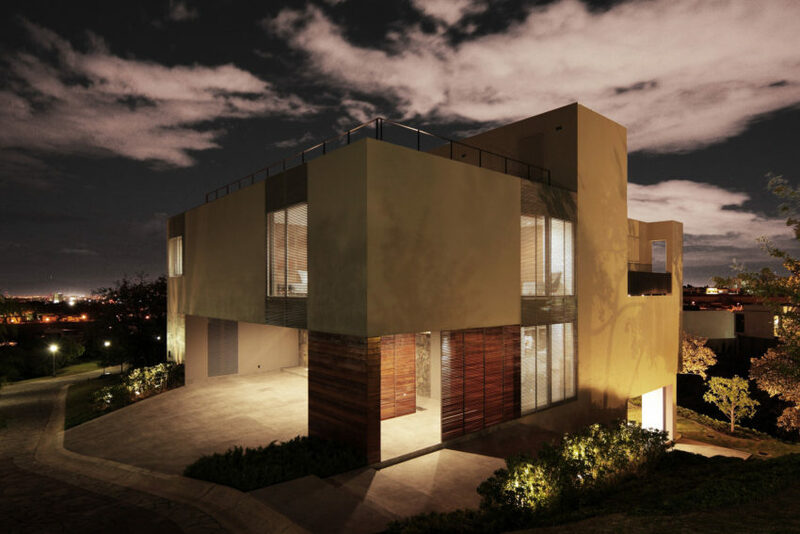 IC House is a private residence measuring 8,342 square feet. 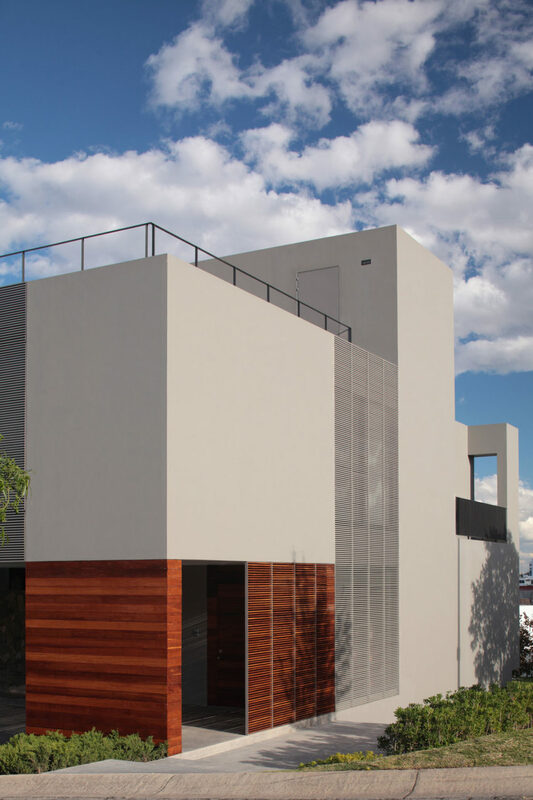 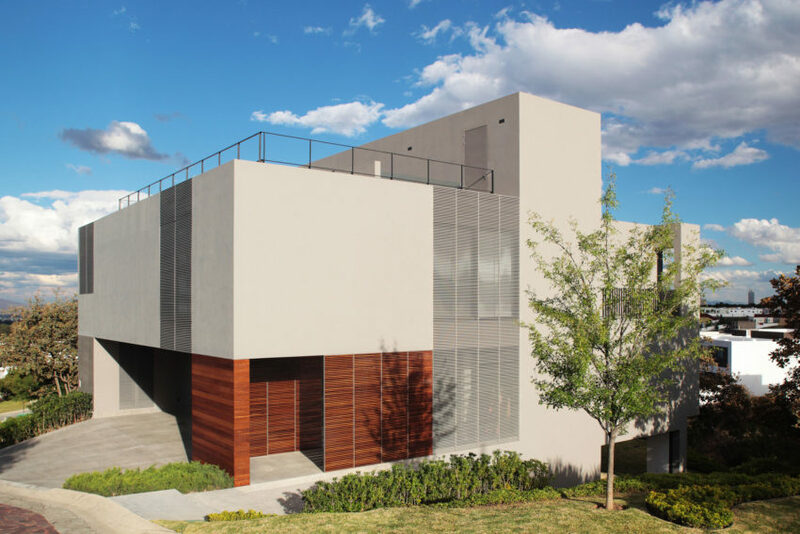 Located in Zapopan, Jalisco, Mexico, it was designed by Alexanderson Arquitectos in 2014. 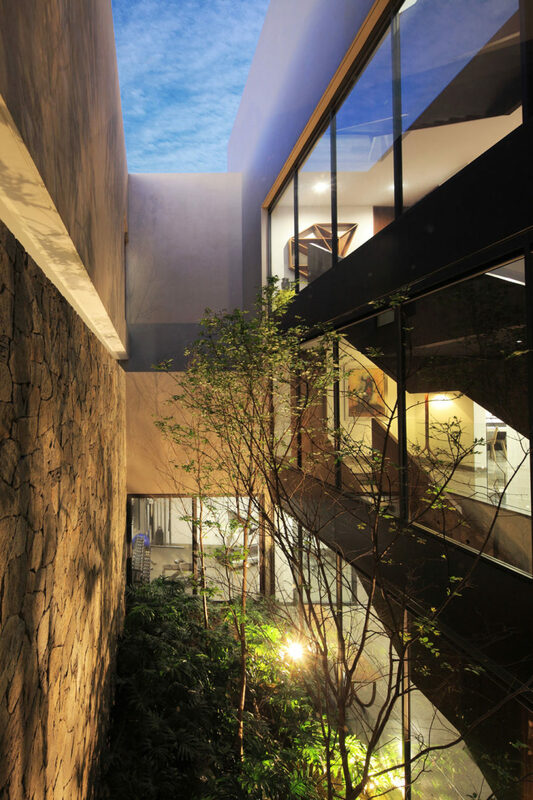 “The site is located on the edge of a ravine. 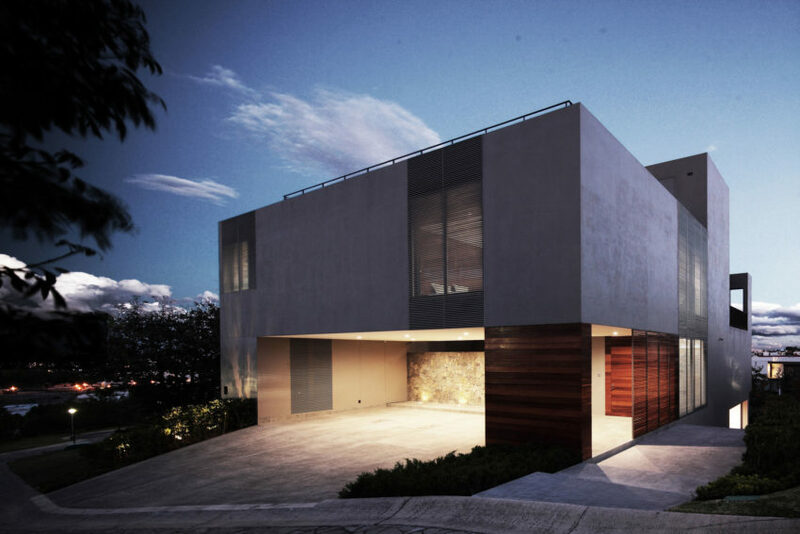 It is a corner lot located in a residential subdivision in the area of Guadalajara. 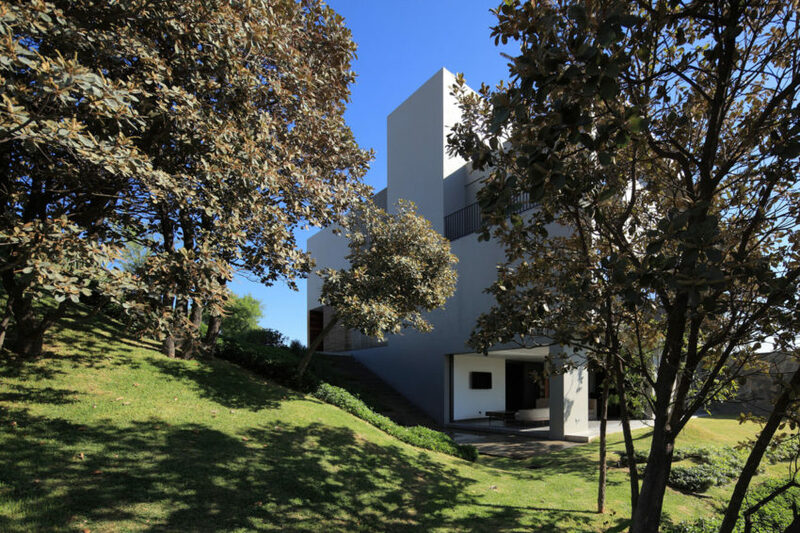 The site reflects the geography of the ravine, with steep slopes and an irregular geometry. 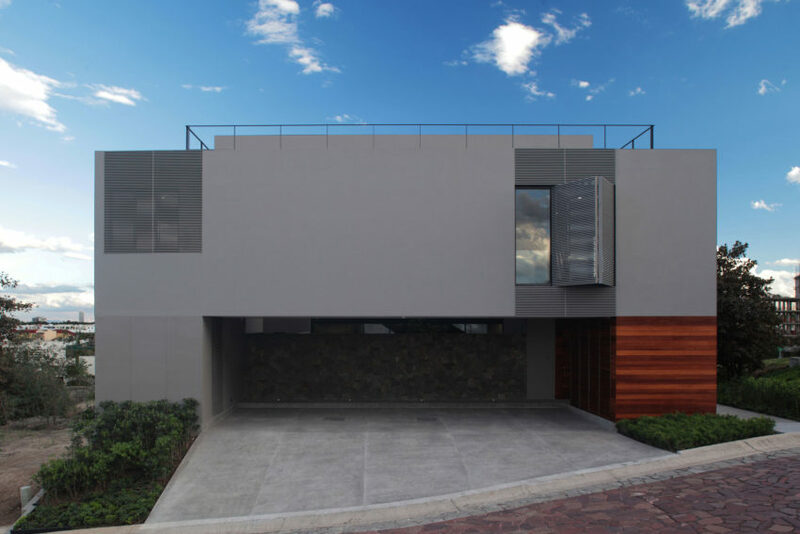 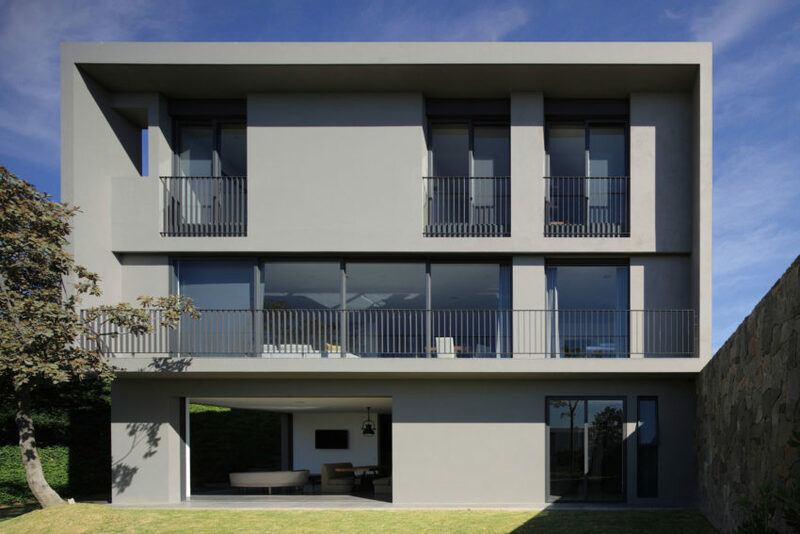 The project arises from the premise of creating a monolithic volume with the ability to open in full on one side and to remain closed in the other. 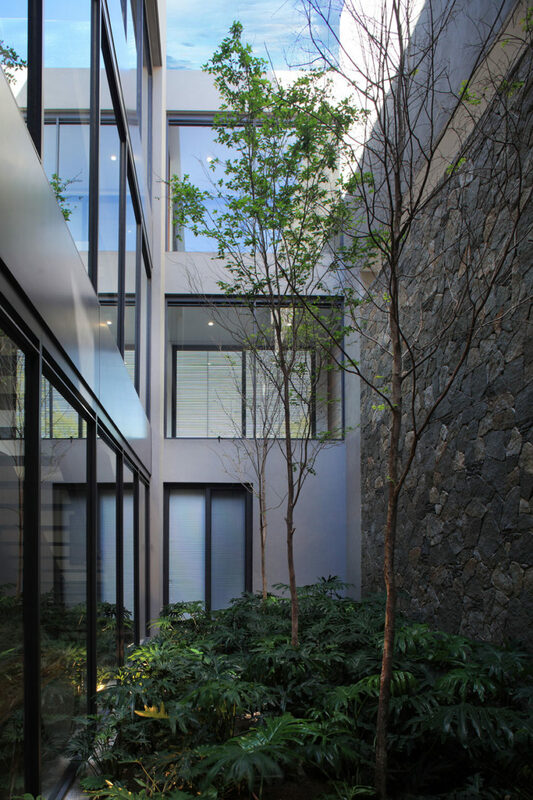 The incorporation of a large central courtyard, besides linking the spaces, generates options for openings in the walls, and contextualizing the courtyard with the exterior. 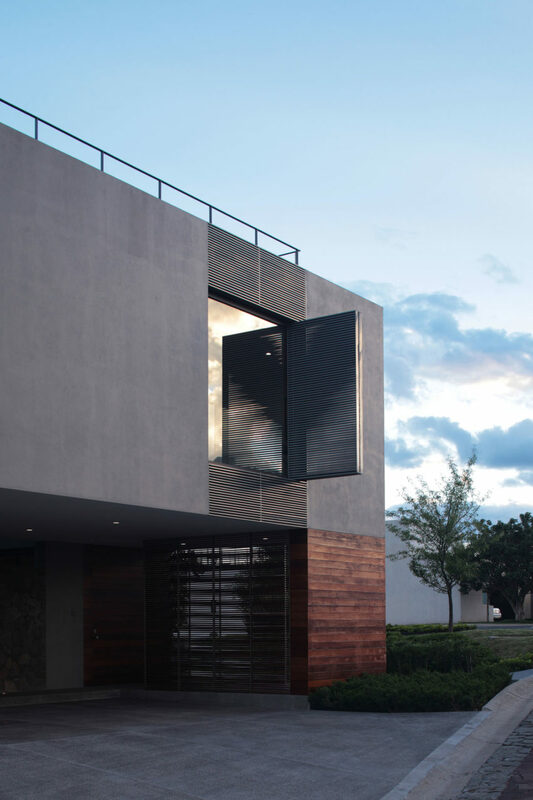 These openings are covered with metal lattices that filter light and the views, thus enhancing the relation between exterior and interior. 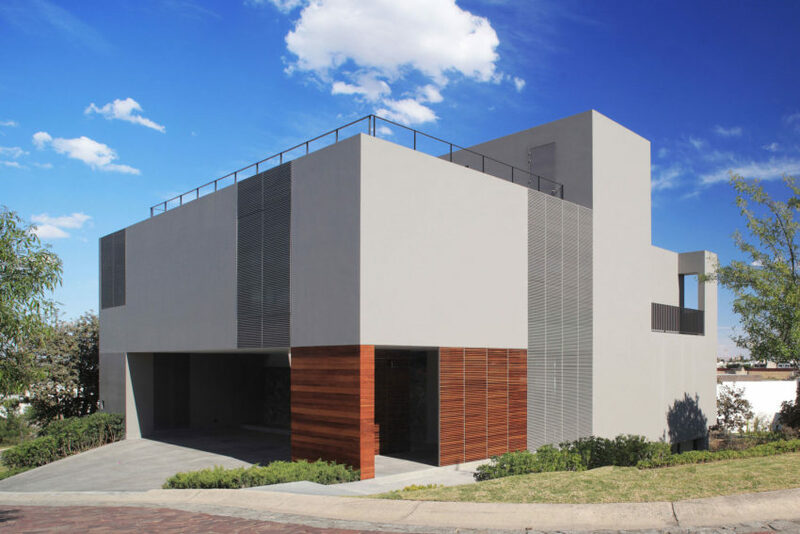 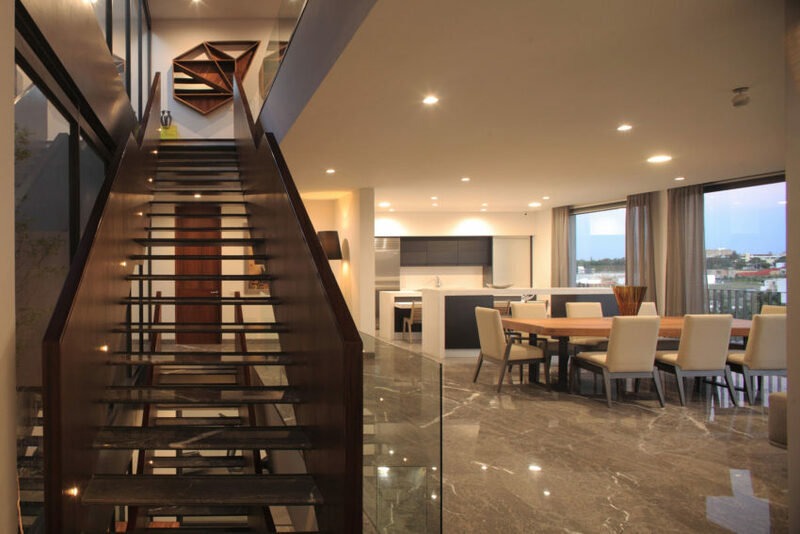 The program is designed on 3 levels in a house of 775 m2 (8,342 ft2). 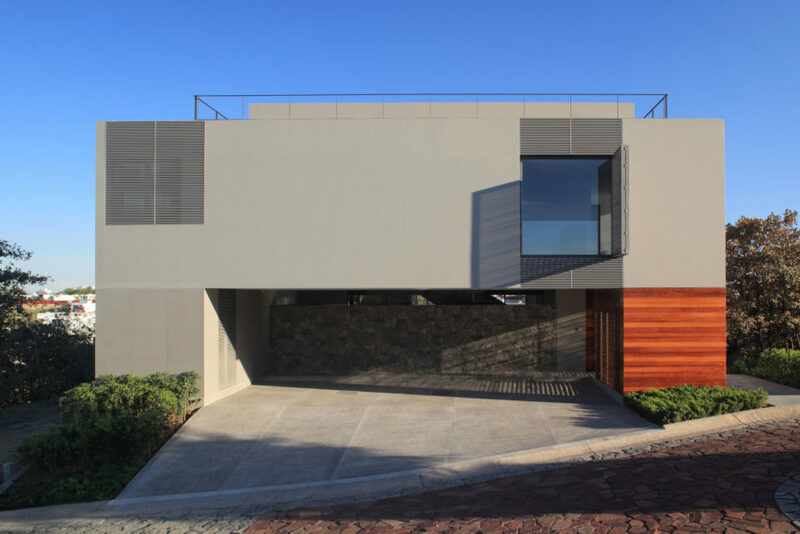 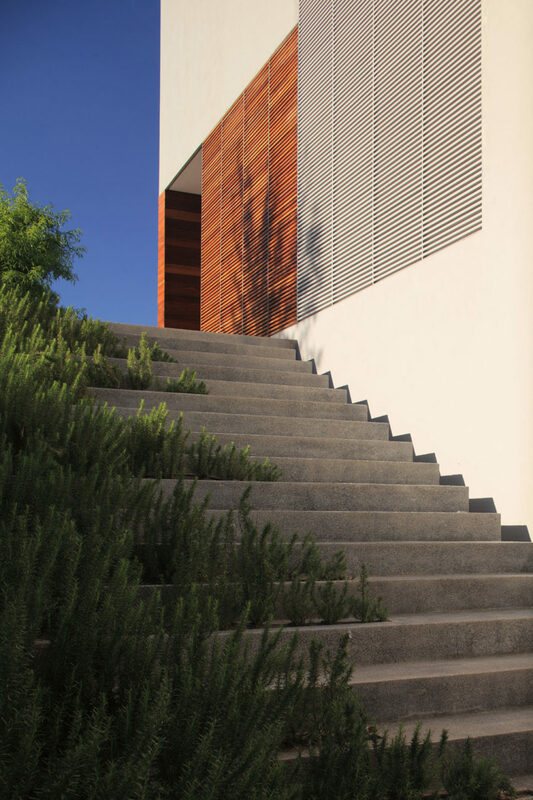 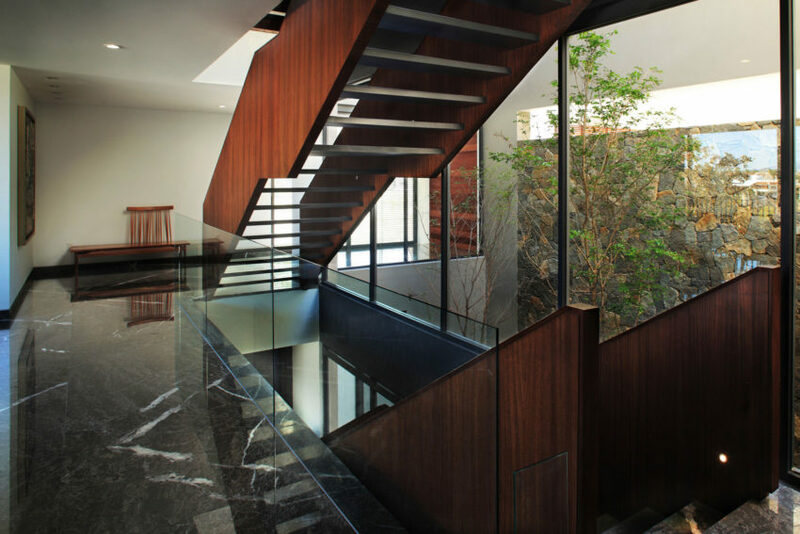 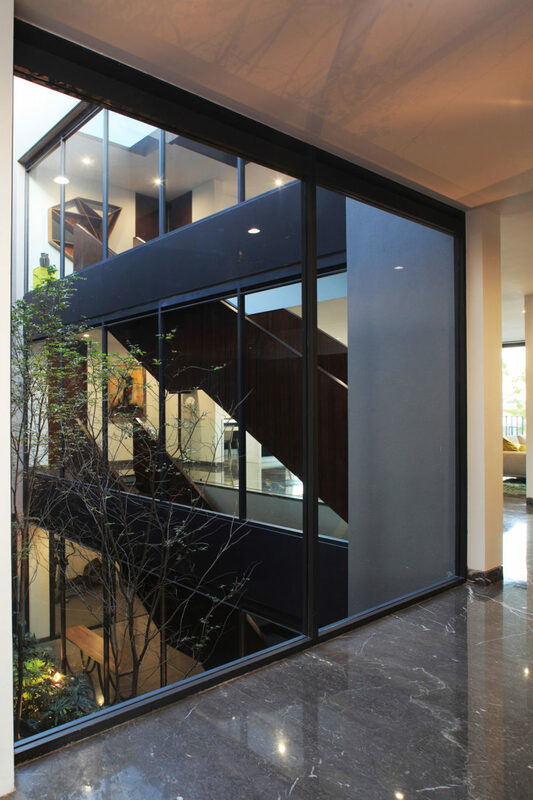 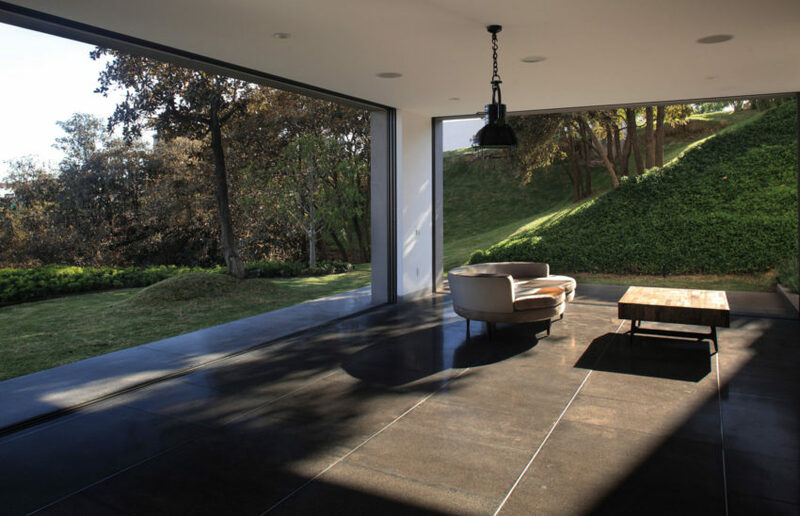 Harnessing the natural slope and the foundation of the house allows the basement to be fully open to the garden. 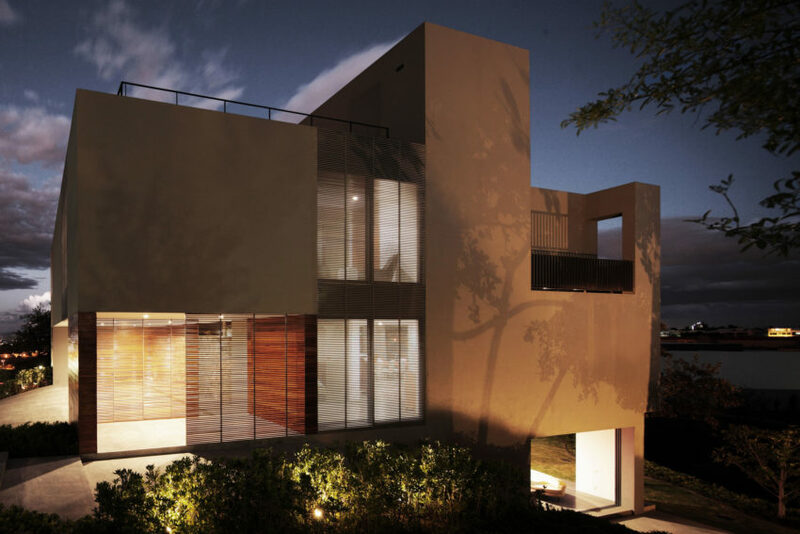 It also houses a gym and guest room, both open to the central courtyard. 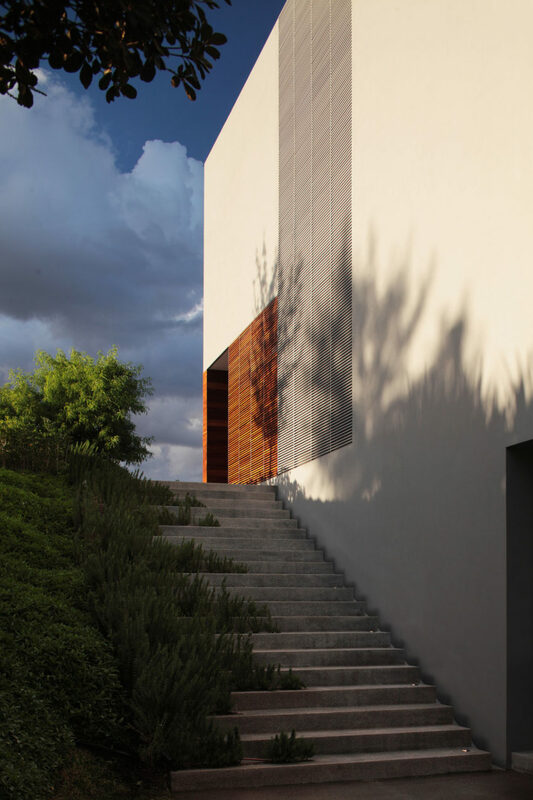 On the intermediate or access level are the rest of the public activities. 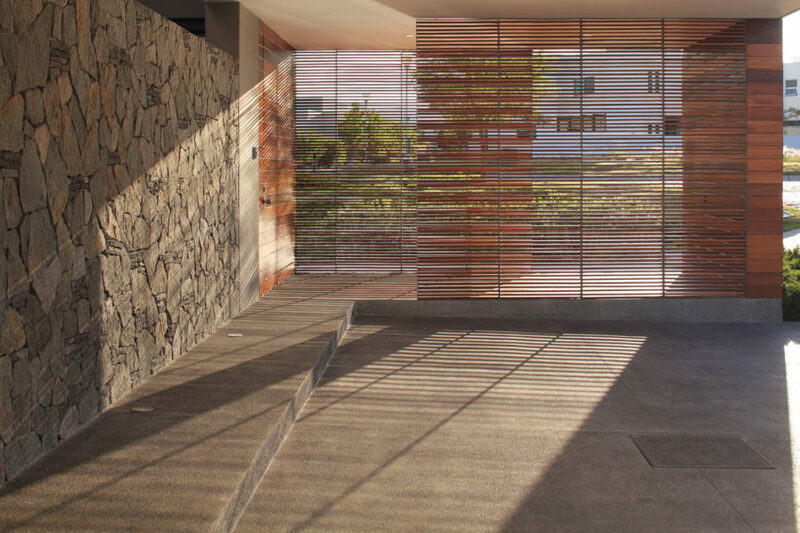 The services have an independent access from the garage.